In Sorrento Coast there are two Cinema / Theater that can accommodate various types of events and film screenings daily, different every week. In the center of Sorrento are the “Cinema/Teatro Armida”, while in Piano di Sorrento you can find the “Cinema/Teatro delle Rose”. Keep an eye on this page! Events are updated weekly. 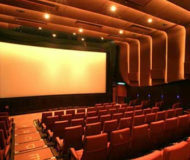 Description: In Sorrento there are two cinema / theater that can accommodate various types of events and film screenings. Read the program of January.